We’ve been helping to improve the homes of customers throughout the North East since the 1980’s and are very proud of the service we offer and all of our projects. For over 20 years our family run business has been supplying and installing doors, windows, conservatories, kitchens, bathrooms and bedrooms to homeowners across the region. We pride ourselves on the professional and friendly service we deliver, and the expert advice we offer. Our wide range of products are available in a wide range of styles and colours and come with our complimentary comprehensive 10-year guarantee. If your conservatory or extension roof or windows need replacing or you are looking to build a new addition to your home then we can help. Our new or replacement Guardian Roofs in Morpeth are second to none and our full building control will offer you a lightweight, energy efficient, beautiful finish with fast installation. With many styles and colours to choose from you can transform your home quickly, at a very competitive cost. 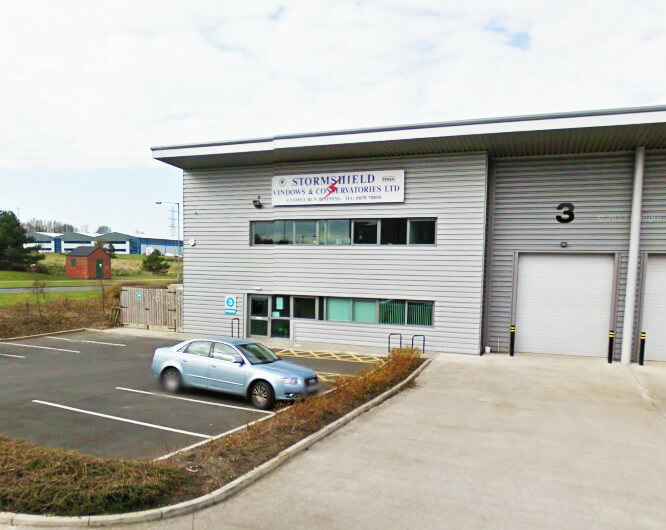 Give one of our expert Stormshield team a call on 01670 710050 and we will be happy to help. Why use or upgrade to a Guardian Roof? We consider ourselves to be the leaders in the manufacture of tiled lightweight conservatory roofing. We’ve investigated various roofing solutions and analysed those that would work best for our customers. We have chosen the Guardian Warm Roof System as it is the most trustworthy roofing systems in the market right now. We have a team of focused staff members to ensure every single installation is completed in the most professional way. Utilising this replacement conservatory roof system, we are able to upgrade your conservatory roof in just a few days. We’ve years of experience when it comes to conservatory roof and tile replacements. To learn more about replacing your conservatory roof structure in Morpeth, telephone Stormshield Windows and Conservatories on 01670 710050. You can be assured of outstanding service from Stormshield Windows and Conservatories as each of our installations have been accredited by LABC, consequently, each will comply with the terms and regulations for local buildings. We support you in finding solutions to any roofing conditions you might have, due to our substantial knowledge of roof structure problems. Our team of professional specialists will almost always be on time, polite and keep you in mind and update when undertaking your project. The entire fitting procedure normally takes about three days. This process involves taking away your existing polycarbonate roof and updating it with a lightweight Guardian tiled conservatory roof. Once it is finished, you get a tiled roof structure on the outside along with a plastered vault ceiling on the inside with insulation in the middle. Our team are ready and willing to provide you guidance and advice on the roofing system that will work best for you. A new tiled conservatory roof will be perfect as a replacement for your current roof. We strive to provide all of our customers with something they will be happy with for decades. Keep in mind that our Guardian tiled conservatory roof structure product is the only one of its kind and it is in keeping with the UK’s building regulations. We are proud of being dependable and always providing what our customers expect from us. There is a huge variety of styles and colours our customers can select from. For every roof structure style, there are specific benefits. Every service we provide is competitively priced and we offer an absolutely free no-obligation quote. We operate our services in Morpeth and the surrounding areas in the whole of the North East. The process is very easy; we take away your glass or polycarbonate roofing and install the lighter Guardian tiled roof covering. This is perhaps the single and most well-liked and timeless roofing designs around. When complete it looks superb. The style will make sure that you effectively maximise your extra space or room, no matter the temperature. This type of roofing design and style works with most house styles as it is very versatile. This design is sought after by many people since it can be constructed easily to slot into any conservatory roof style and design. It is fantastic for kitchen area extensions. What’s more, it maximises the space in the rear of your home and adds to the appeal of your room. The ends come in 1 to 2 inclines. It’s got fantastic modern styling with an increase of choices on the positioning of the doorways and has a three aspect roofing design. This design can come in convenient in the event you lack space in your garden. The interior plaster finish completes the look and gives your roof a sophisticated visual aspect. One of many top features of this design is definitely the continuous height it can provide a space. This design is great for roof replacing or the building of a new one. It has a long ridge in the middle that will enable one to make good use of your roof covering windows. This layout is fantastic for bungalows. You can use it for the conversion of your outdated conservatory. The style is highly recommended because it is exceptionally adaptable and can be used in several ways. Whatever the shape and footprint of your conservatory we can design and install a customised replacement conservatory roof covering to fit the shape of the current conservatory. The roofing tiles we use are made of Zincalume protected steel. This primarily means that you get an excellent and sturdy roof covering. We’ll also take consideration of any of your thoughts to ensure you get exactly what you need. We can happily say that we have demonstrated a good relationship with our past customers due to the fantastic professional services we’ve constantly supplied. Our principal consideration is to ensure that you do not spend too much money on your roofing system as well as at the same time we see to it that you will get the most out of it. Here at Climate Roofs, we provide you with a 10-year warranty for every single installation of a lightweight Guardian conservatory roof. Want to know a little more about our professional services? Just complete the “Quick Quote” form (How much does a new a Guardian Roof cost on our home page) and we’ll be in touch. If you’re happy with the quote, you will be able to place your order with one of our company’s representatives. From here, one of our surveyors will visit to accurately measure the dimensions needed for the purpose of manufacturing. Soon after submitting your 5-day building notice to the Local Local Authority or Council for Building Regulations, the production procedure for your roof will commence on the factory floor. The very last step is to chill out and take it easy as we fit your new Guardian conservatory roof structure, knowing that Stormshield Windows and Conservatories are taking care of the job for you. 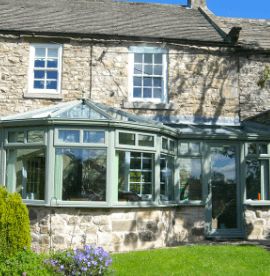 For more information on the installation of a replacement conservatory Guardian Roof in Morpeth, phone Stormshield Windows and Conservatories on 01670 710050 and one of our team will be happy to help.